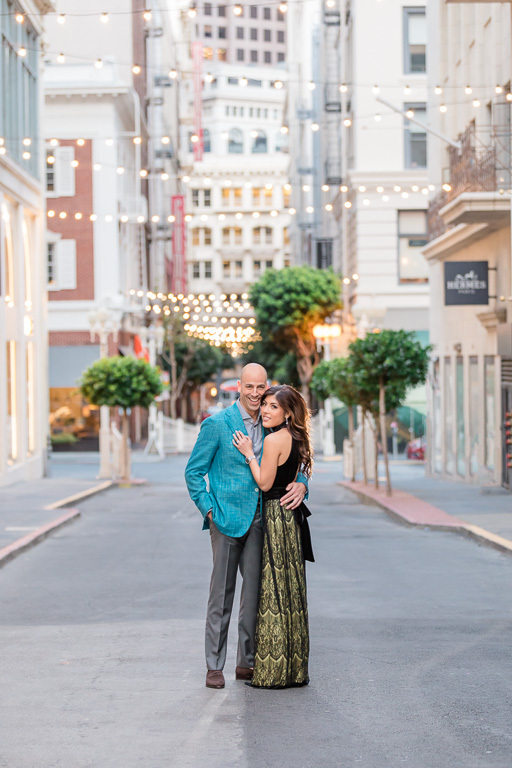 This engagement shoot was an absolute dream for us. 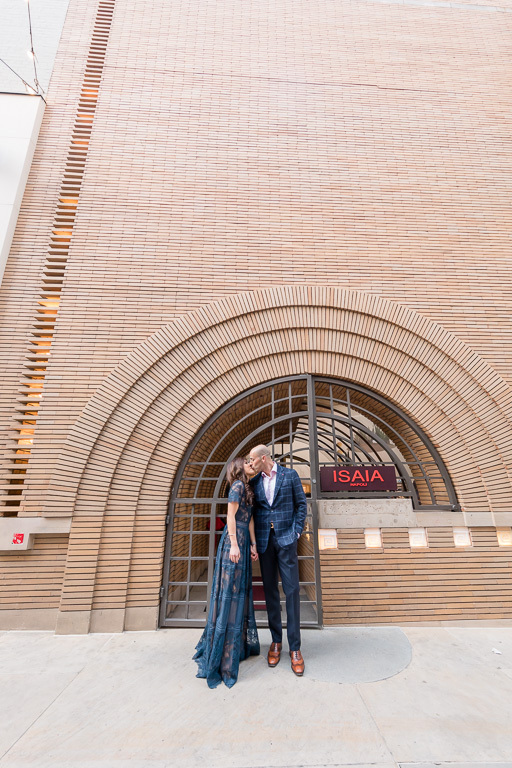 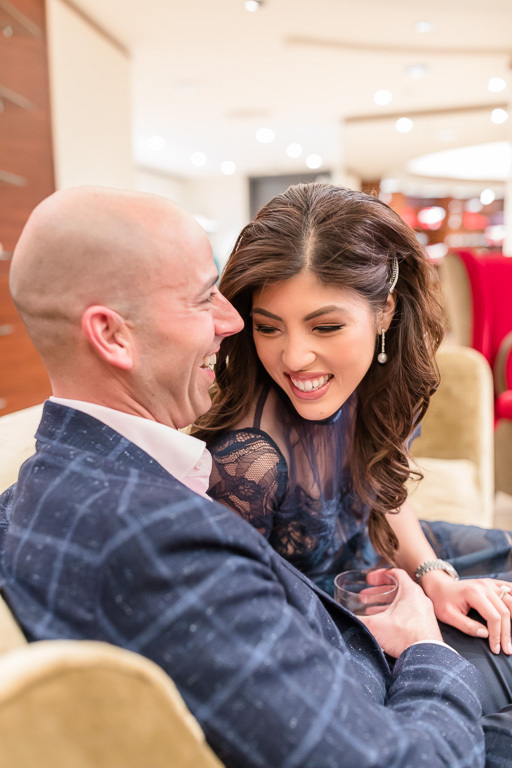 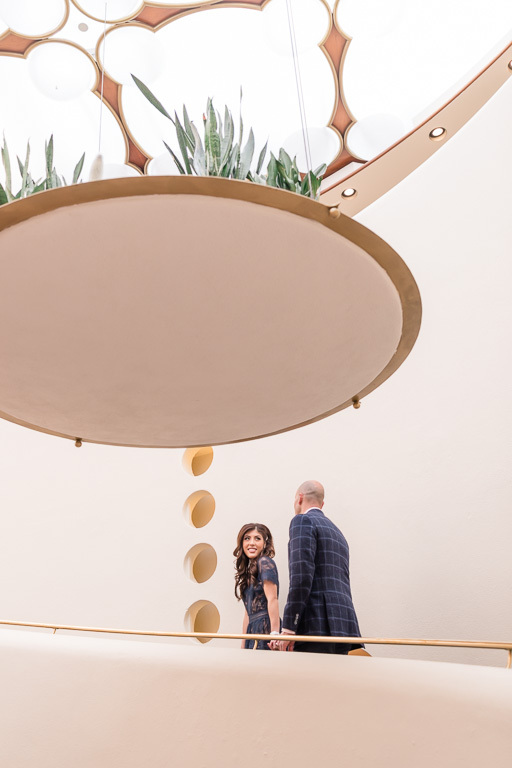 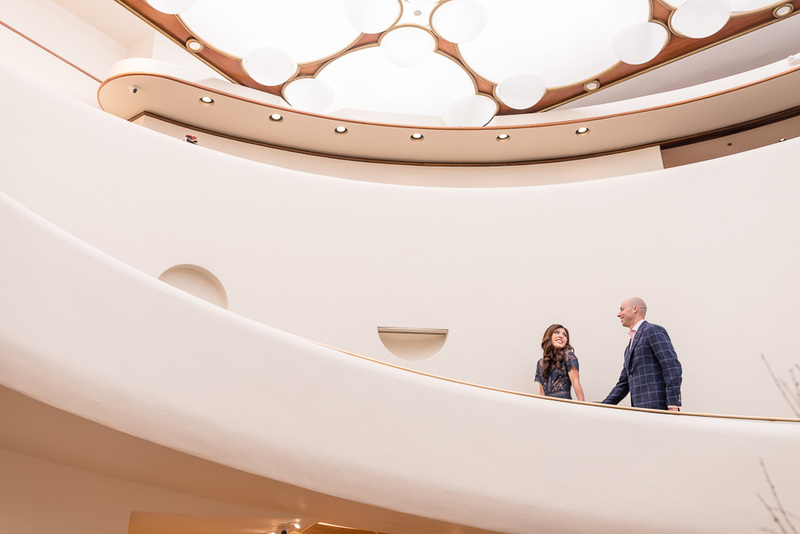 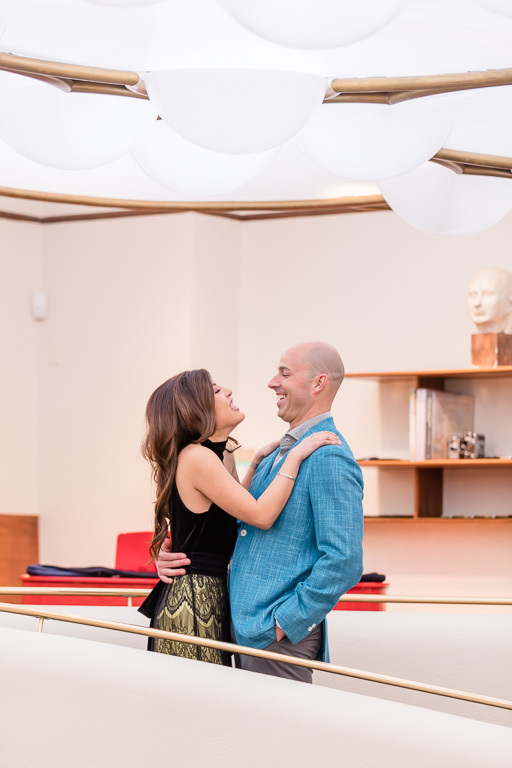 Carmen & Michael had the great idea of doing their engagement photos inside the San Francisco ISAIA store on Maiden Lane, where they often visit to shop and enjoy some drinks. 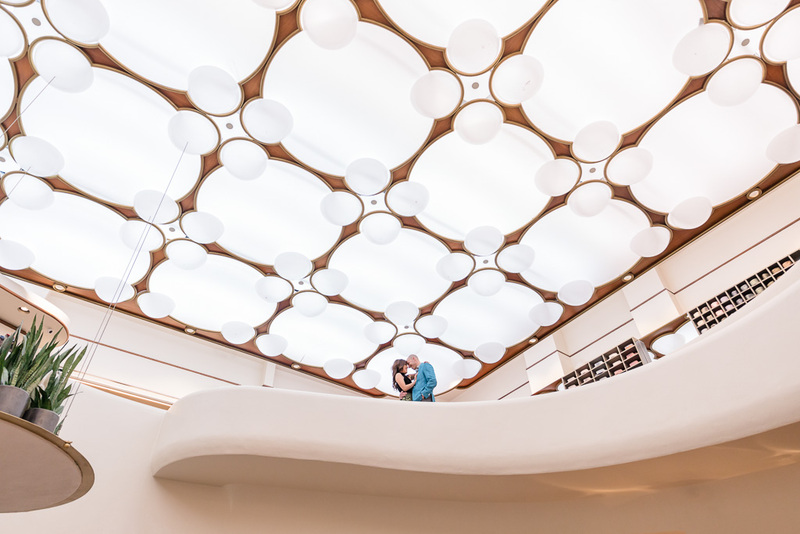 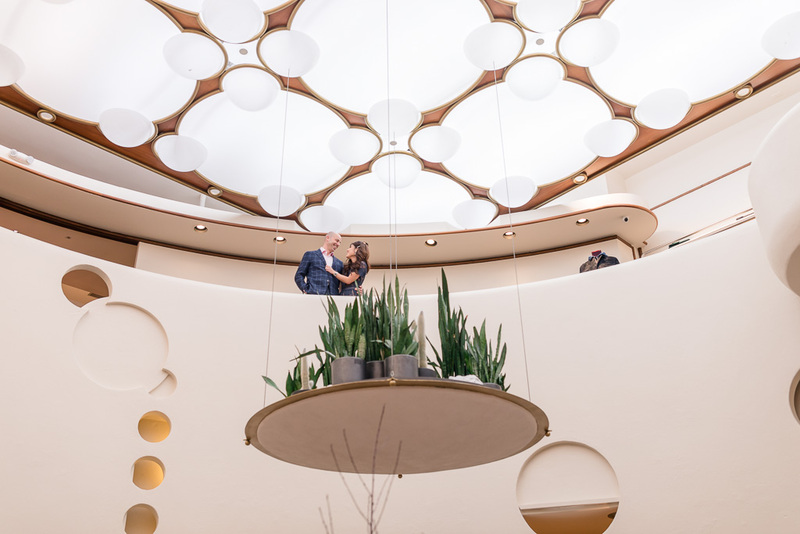 It’s an Italian luxury menswear brand located in a unique, beautiful building designed by Frank Lloyd Wright, and from ceiling to floor, this place is pure eye candy for a photographer. 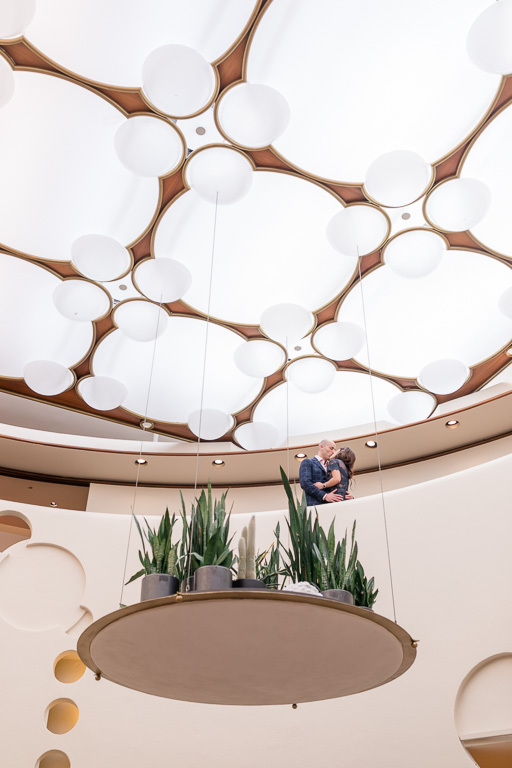 Although I’m sure these two would look amazing anywhere, this absolutely gorgeous indoor space was a perfect match for them! 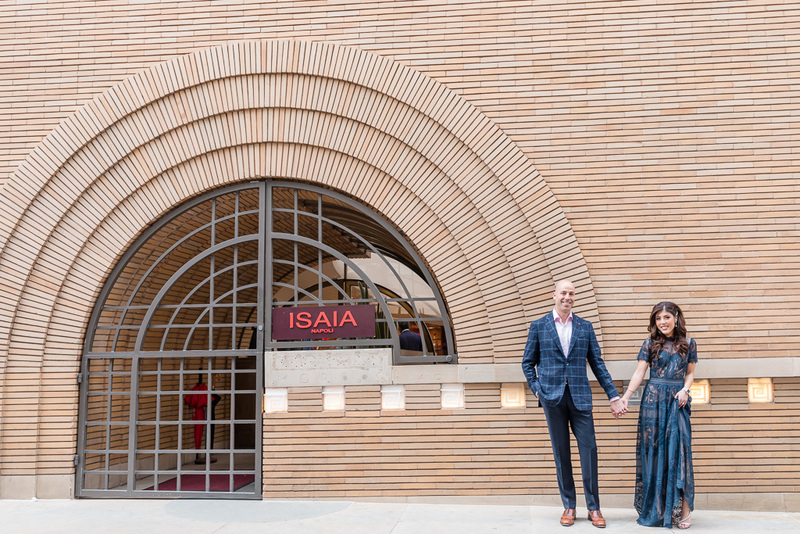 Looking at these photos, you might think Michael was a model for ISAIA, and well, it’s pretty much true — he was wearing perfectly-fitted suits from this very store and looked great in them… especially with the beautiful Carmen by his side! 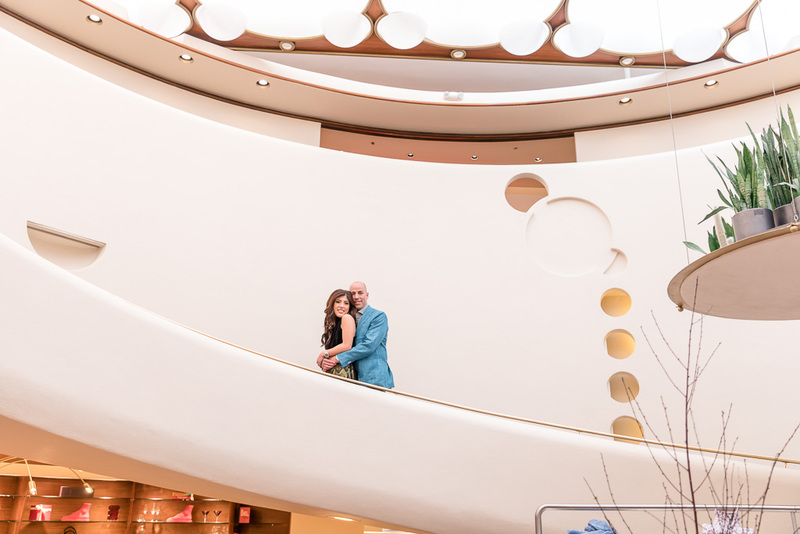 We explored every corner of the building together, and our session flew by amazingly quickly. 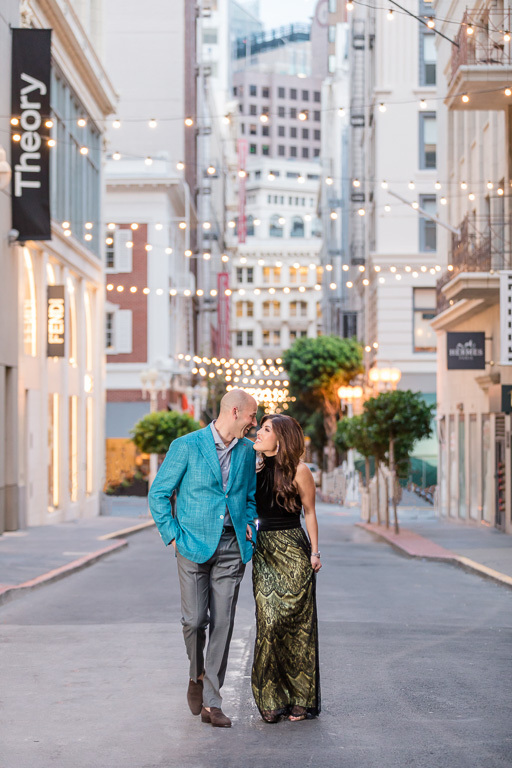 After we finished up in the store, we went outside for a few photos on Maiden Lane before it got too chilly. 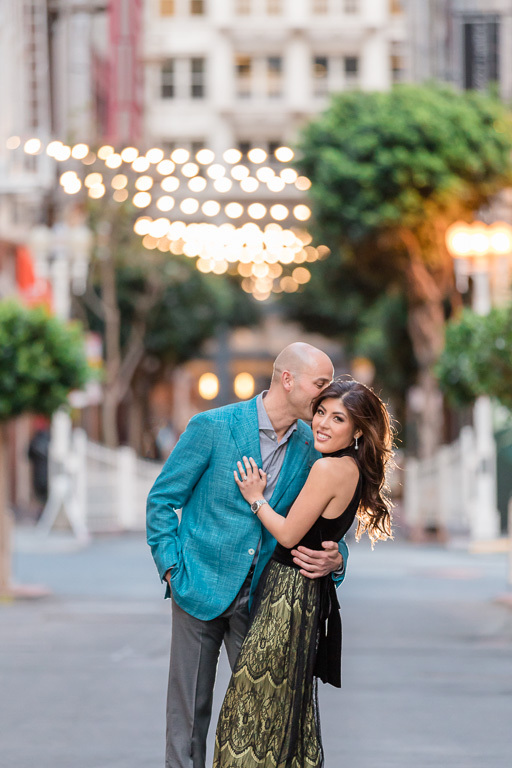 Congrats to Carmen & Michael on their upcoming wedding, and take a look at a few of their photos below!